Would you like to be named as the next NOTINDOOR International Photographer of the Year 2016? 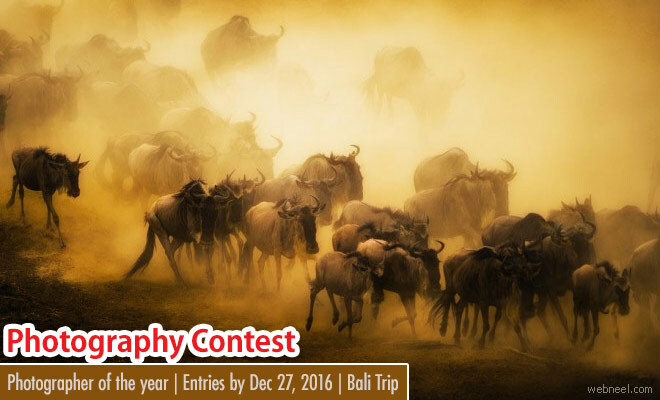 If you are above the age of 18 and you have a passion for wildlife photography, then here is an amazing chance to win exciting prizes and laurels. It is an online competition hosted on NOTINDOOR Photography Magazine’s Website. The total pool prize to be won is $10,000 along with some amazing exposure. All that you have to do register yoursleves in notindoorphotography.com and you can submit your images as a platinum premium member or even submit your images for a small fee. Get your images reviewed by international judges and you will also get a worldwide exposure. Email blast mentioning to our subscribers.